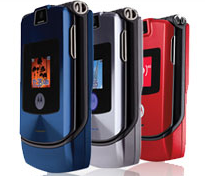 Razr anyone? Motorola can’t even give those things away anymore. The once-proud company reported horrible earnings today, with sales down 21 percent and a net loss of $194 million. But the big takeaway was the 39 percent collapse in its mobile phone business. Mobile device revenues in the quarter dropped $2.1 billion compared to last year. We sold 1.7 million iPhones during the March quarter . . .. Total revenue recognized during the quarter from sales of iPhone, iPhone accessories, and payments from carriers was $378 million. Total deferred revenue from iPhone and Apple TV was $1.93 billion at the end of the March quarter. Add those together and you get $2.3 billion. That deferred revenue he is talking about is what Apple collects from its share of monthly subscription fees from AT&T and other carriers partners—an arrangement that Motorola has never been able to negotiate for its phones. So not only has the iPhone replaced Motorola-class phones as the mobile device of choice among consumers, but Apple is also replacing Motorola’s business model by tapping into that rich vein of monthly subscription fees: An arrangement, by the way, that has been as good for AT&T as it has been for Apple. [Clarification: The deferred revenue is a cumulative figure since Apple started selling iPhones in mid-2007. Last quarter, Apple added about $500 million to that cookie jar).